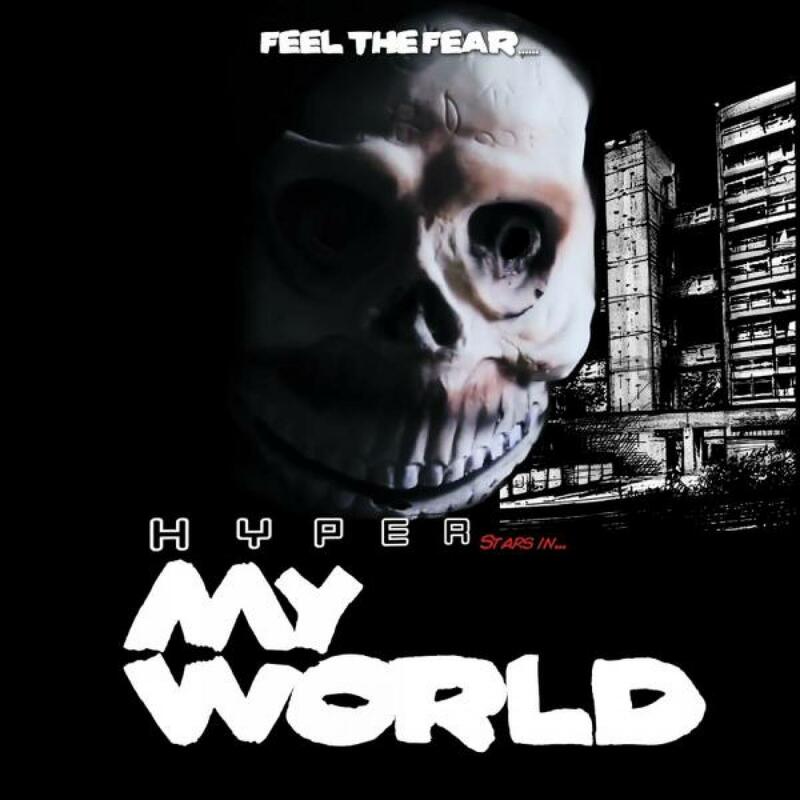 Hyper returns to the fold with an almighty bang this November with 'My World,' the second single form the critically acclaimed 2011 album 'Panic.' With remixes that will blow previous entries out of the water, we'd be lying if we said we weren't EXTREMELY excited! As a hugely talented producer, remixer, DJ, label boss and composer Hyper has excelled building a loyal and global fanbase as well as commanding huge respect from his peers. Having shot into the consciousness of almost every dance head and aficionado ten years ago with the eponymous Y3K compilation series, he has since released two critically acclaimed albums, remixed everyone from Foals to Futureheads, Pink to Paul Van Dyke and released some of the biggest compilation series' over the last decade. The original mix is huge. Processed guitar's power over precision drum-break edits, chunky synth lines whir and buzz and slabs of sub bass hold the foundation tight below the guttural bars of Dread MC and Genesis Elijah. First up on the remix is Ram Records flag-bearer, Hamilton. This guy is rolling at the top of his game a the moment, and doesn't disappoint with this remarkable DnB edit. The production is snarling and super-tight with that unmistakable Hamilton groove. Dancefloor weaponry! iLL Audio, Distinctive's new signing, steps up next. He's constructed a ferocious re-work that that explores hi-energy dubstep territory to maximum effect. ill Audio takes no prisoners! To finish, we wind it down a notch (or two) for Brioski's disco edit. Stripping nearly all but the vocal from the original, this talented Italian's refreshing adaptation finishes off the brace of remixes in style. With an instrumental version for DJ's and MC's to boot, things are about a whole lot more exciting for the Hyper community worldwide! Written by Guy Hatfield, James Cocozza, Mikel Medley & Nathaniel Bygrave. Vocals written and performed by Dread MC and Genesis Elijah. Remix & Additional Production on 02: by Hamilton 03: iLL Audio 04: Pixel Fist 05: Brioski.